Releasing just in time for the 144th running of the Kentucky Derby,The Bourbon Country Cookbook is the ultimate guide to modern Southern entertaining and a pure celebration of the culture and history of Bourbon Country, an area of the country that is becoming an increasingly popular place to visit. In 2016, the Kentucky Bourbon Trail welcomed over one million guests, breaking the previous year’s record by more than 17 percent. This full-color cookbook includes more than 90 recipes organized into nine chapters of Southern fare including cocktails; small bites; brunch; pickling and preserves;vegetables; grits, grains, pastas, and breads; fish; meats; and desserts.The Bourbon Country Cookbook includes the following recipes, among many others: Our Signature Mint Julep; Proper Old Fashioned Deviled Eggs with Country Ham; Fried Green Tomatoes with Smoky Aioli; Creamed Collard Greens with Buttered Crumbs; Derby Shrimp and Grits with Tasso Gravy; Giant Hot Brown Bourbon Bacon Chocolate Chip Cookies; Bourbon Cherries with Grilled Pound Cake; Hickory Smoked Mac and Cheese. Tim Laird is an authority on wines and spirits with more than 30 years of experience in the hospitality industry. He is the chief entertaining officer of Brown-Forman, a major producer of fine wines and spirits based in Louisville, Kentucky. Laird hosts two local weekly television shows and is a featured columnist for Louisville’s Food & Dining Magazine. He has appeared on Today, The Early Show, Fox & Friends, The Tonight Show, and World News Now, among many others. With over 20 years of hands-on experience in the hospitality industry, David Danielson brings a wealth of knowledge and insight to the industry. He began his culinary training at Dumas Pere School of French Cooking and later continued at the renowned hotel school Ecole Hotelier Tain l’ Hermitage in France. Over the next two decades, he continued to develop his craft working alongside some of the industries greatest legends and working in North and South America, Europe, the Caribbean and Asia. David joined the team at Churchill Downs in 2011 while working for Levy Restaurants. As Executive Chef he manages all food and beverage operations and oversees all of the planning and execution of the Kentucky Derby, Breeders Cup (when at Churchill Downs), as well as daily operations and other special events. 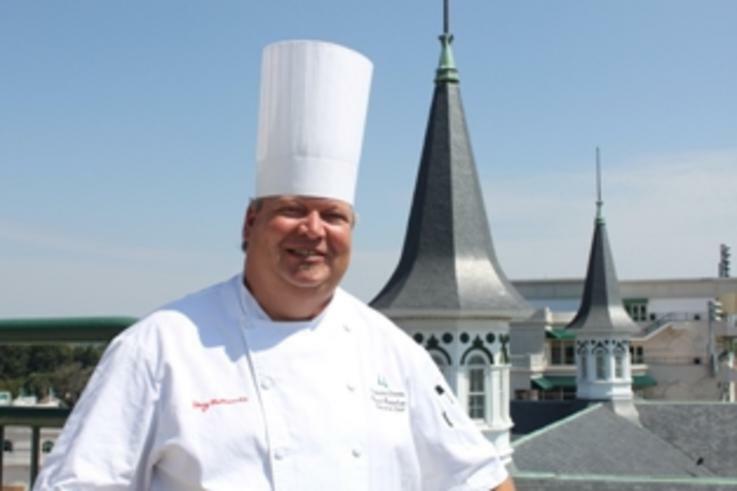 Prior to joining the team at Churchill Downs, David held Executive Chef positions at the Rockefeller Center in New York with Restaurant Associates, the United Nations Plaza Hotel in New York, and the Palmer House Hilton in Chicago. 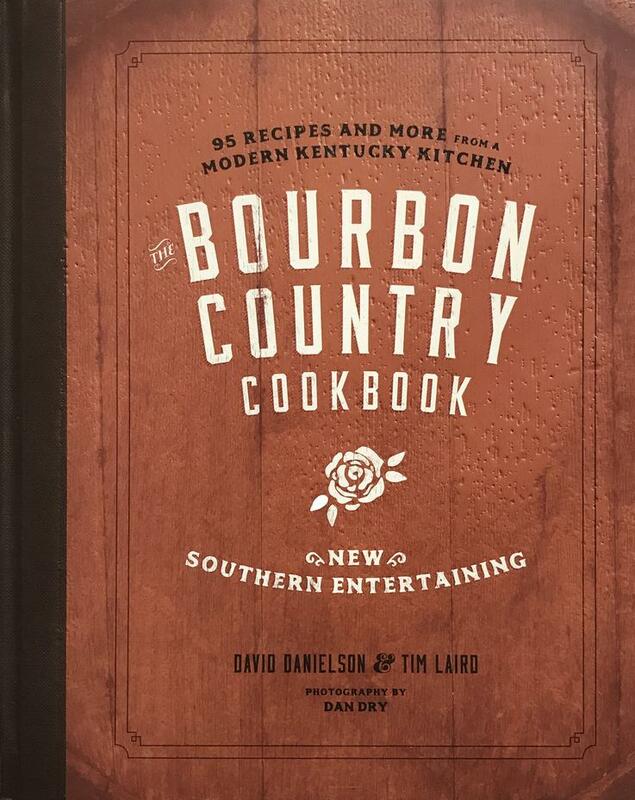 David is co-author of the recently released The Bourbon Country Cookbook and is recognized locally and nationally having appeared on: Top Chef Season 16 as the Celebrity Chef Judge, ABC World News, Fox & Friends, Travel Channel, WGN, Secrets of Bluegrass Chefs and Good Day New York. He has also appeared in numerous regional and national publications including: People Magazine, Conde Nast Traveler, Men’s Journal, CNBC, Edible Manhattan, and USA Today. David has consulted and worked on-site for several large scale special events around the world including Super Bowl 2011, US Open Tennis, 2016 Rio Olympics, 2014 Sochi Winter Olympics, 2010 Vancouver Winter Olympics, 2008 Beijing Olympics, Chicago Gourmet, PGA Championships, and Lollapalooza. David’s expertise extends well beyond the boundaries of his culinary skills. He has a strong financial background with an emphasis on creating and adhering to budgets, cost of goods utilization, labor management, forecasting, inventory control, and waste reduction. He has successfully overseen the culinary operation of several multi-million dollar companies throughout his career and has a deep understanding of how to manage the variable cost aspects of the daily operation of a food service establishment resulting in increased revenue.